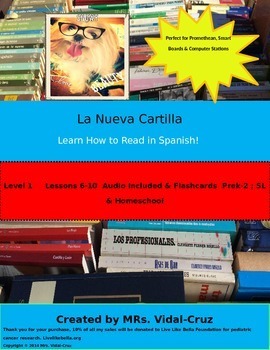 The full "La Nueva Cartilla" series was created with my 19 years of teaching experience at a bilingual school. 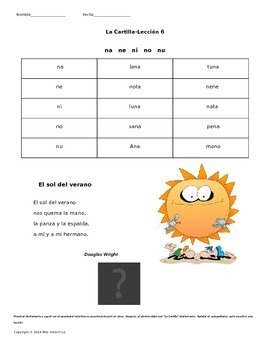 I was in a desperate need to help my non-Spanish speaking students and my Spanish speakers improve their fluency in Spanish and in some cases learning to read for the first time. 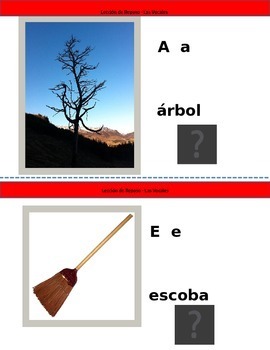 This reading program is going back to the basics using phonetics and poetry in a fun, educational way. I created this POWERPOINT version as a continuation to build on the phonetics from lessons 1-5. Use the reading series as a supplement to your teaching materials. With the new technology now in the classrooms such as Smart Boards and Promethean Boards, "La Nueva Cartilla " is nicely displayed on the boards for the whole class to see. Then, just click on the audio and the whole class can hear the lesson! Thanks for your interest in my product! 10% of all sales are donated to www.livelikebella.org for pediatric cancer research. **Visit my store for level 1 lessons 1-5 or for the QR-code homework version of this product. Key Words: Promethean lessons, Beginner Spanish, learning how to read in Spanish, Smart board lesson, La Nueva Cartilla, La Cartilla, Flashcards in Spanish, A leer en Espanol, Back to school.